Alaska Structures® serves a broad range of industries in many climates, providing tension fabric structures for temporary and permanent installations. 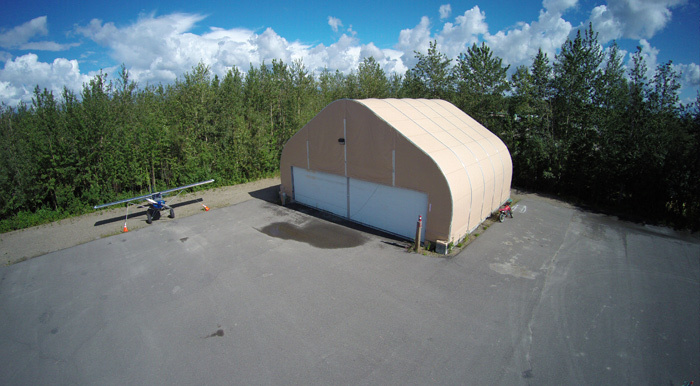 Since 1975, Alaska Structures has engineered and manufactured fabric buildings and remote camp systems for commercial, industrial, and public works applications around the world. Our expert fabric building specialists are committed to helping engineer fabric membrane structures or design complete camp systems for any industry. Our fabric structures are made in the USA, with the highest quality materials and cutting-edge technology to create the ultimate fabric building solution. Alaska Structures' tensioned fabric structures can be set up more quickly than steel buildings as well as buildings that use conventional construction methods. Alaska Structures' fabric structures are low maintenance and provide a cost savings over the life of the building. For more information about the possible applications of an Alaska Structures fabric building system for your industry, or to talk to a customer support representative, call +1-907-344-1565, email inquiry@alaskastructures.com, or contact Alaska Structures here.